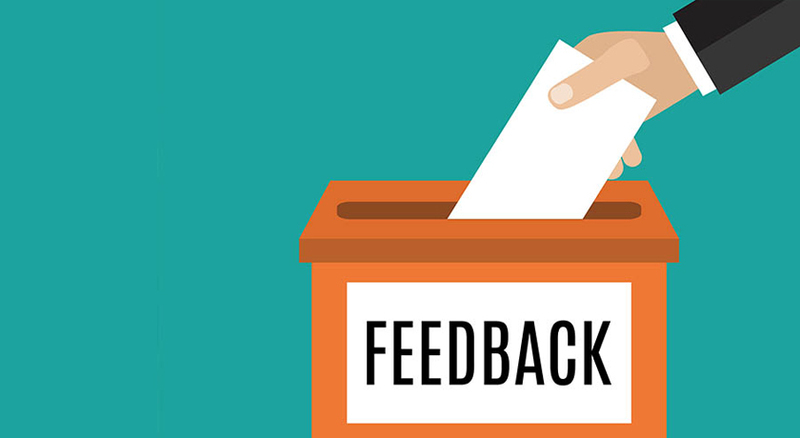 In a previous post we wrote about how to give effective design feedback. In that post we identified 7 main areas to look at to help provide structure when doing so. Recently, we’ve been giving even more thought to feedback. Partly due to recent experiences, but more so because of the ever-expanding ‘advice driven culture’ we now seem to live in, and the growing abundance of communication (feedback) channels. Simply, we give more feedback now then we ever have, and the effect it is having on work and people, is the greatest it’s ever been too. Yet, in the main, it is still given poorly and the workings of it are largely misunderstood. Feedback needs to focus on outcomes not just opinions. All too often, people are quick to provide feedback – largely in the form of criticism – without taking the time to understand what the purpose of their feedback actually is. Simply, they have not identified what they want the outcome of their feedback to be. For example, what exactly is it that you want that person to change? What would the outcome look like if your feedback were taken on board? And ultimately, is there any positive outcome to your feedback? When you start to frame your feedback in terms of outcomes, you’ll be amazed by the benefits and results that you’ll experience. Right ok, let’s take a quick look at the ways you can frame your feedback, based on outcomes. There are three commonly recognised areas to focus on. This one is very much all about showing appreciation to someone based on their effort, so as to motivate and boost their productivity levels. Very much about the person – on an emotional level. Moving away from the individual, we are now focussed on the task. Giving advice on the specifics of a task, and not on the person is key here. Based on the above, appreciation and advice are the types of feedback you should be spending most of your time doing. And to add to that, appreciation should only be given when someone is deserving of it. – Be clear on the type of feedback you are after, by stating what it is you are trying to achieve. – Identify the specific details you would like input on. As ultimately you want the feedback you receive to be focussed and constructive. There you have it, an overview on effective feedback. And again to summarise in a few words with a key takeout – it’s all about outcomes, not just opinions. That’s because opinions are often just criticisms. And criticism constrains creativity. And that is no good for anyone. So the next time you’re asked to give feedback, take your time. Start by looking at what the outcome is, and then frame your feedback in accordance. Similarly, when asking for feedback, be specific – so that the giver then becomes focussed on outcomes. Feedback can then become amazingly effective, and move away from being wrongly seen as all too often a negative thing.